Where We Work - Think & Wonder Inc "A Place Where Creativity Can Grow!" Diffference Between Art and Craft? ThinkArt! 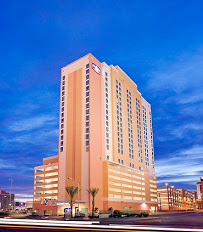 - Think & Wonder Inc provide opportunities for artists to expand their skillsets and as well as the much needed support throughout the Las Vegas community and her surrounding areas. Each year our reach expands as we develop new relationships with artists and other community partners (schools, public and private agencies, and other community service) and local funders who make our work possible. We are a vagabond art organization - going to places that need us. 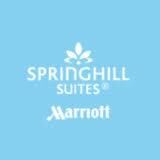 Our community partner, SpringHill Suites Convention Center - 2989 Paradise Road, Las Vegas is our home base and is our exclusive venue for many of our art exhibitions and cultural events. In the fall of 2013, our ThinkArt! Corps launched the Tree Haus campaign to raise capital funds to build an innovative arts & humanities center for our local community as well as to serve as Think & Wonder Inc's headquarter. Not long now...we will ceased to be a vagabond. THINK & WONDER, INC. A Place Where Creativity Can Grow! © THINK & WONDER INC. All Rights Reserved.